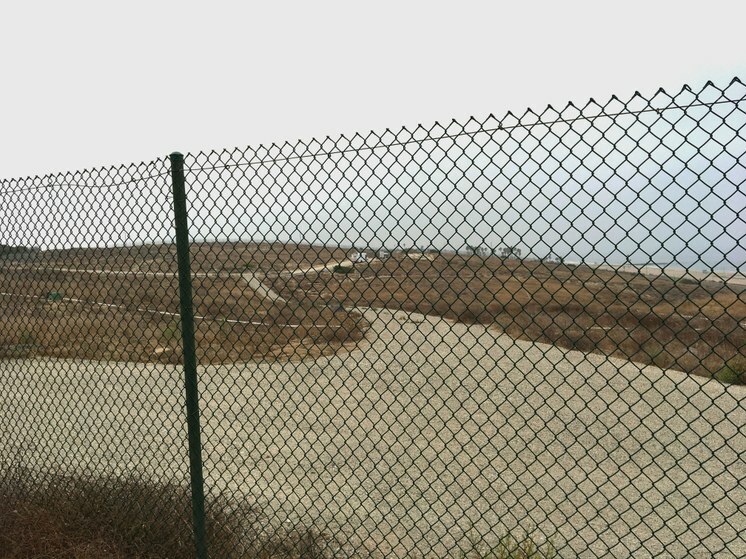 What is all that abandoned land near LAX? If you look down from the plane as you take off from LAX, you'll see a long swath of seemingly empty streets. A long time ago, this was an upscale, beachfront neighborhood. 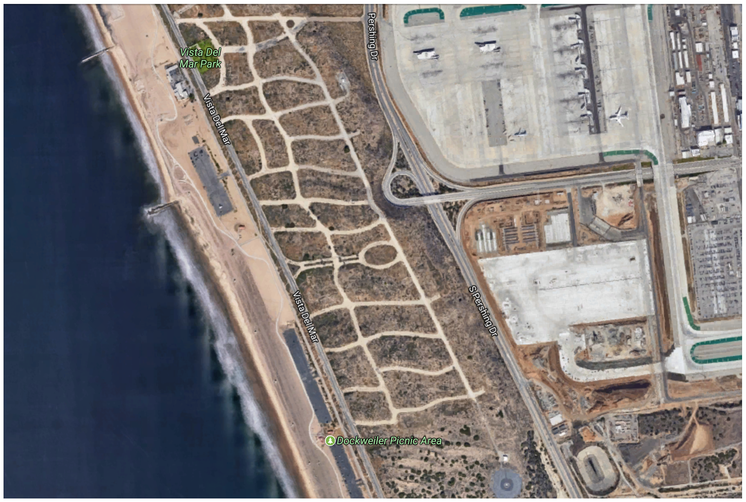 Eventually, it made way for an airport that was growing and expanding. 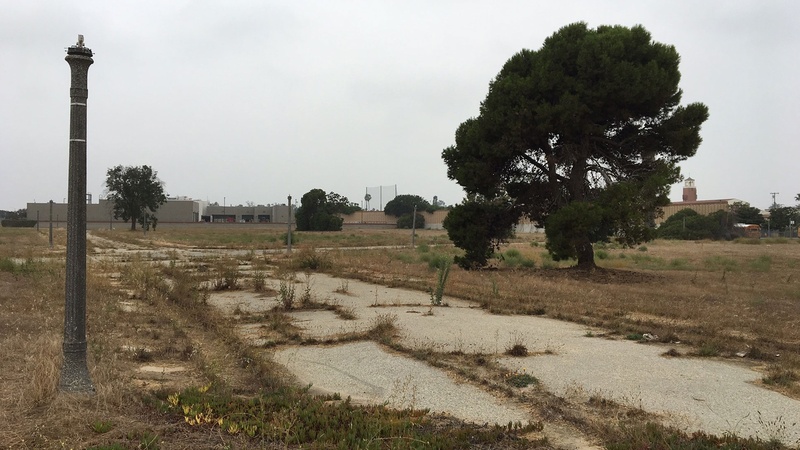 And it wasn't the only community gobbled up by the airport's growing footprint. Abandoned community of Surfridge. Photo credit: Jenny Hamel. Aerial view of Surfridge. Photo courtesy of Google Maps.